Robert E. Sacks - Shapiro, Blasi, Wasserman & Hermann, P.A. Robert E. Sacks’ practice currently focuses on helping international manufacturers and vertical transportation service companies with litigation involving general liability, products liability, commercial matters, construction defect, delay, and lien claims. Mr. Sacks also represents cosmetics developers and distributors, numerous commercial enterprises, land developers, and individuals in litigation, arbitration and negotiated resolutions involving claims for negligence, breach of contract, fraud, negligent misrepresentation, wrongful death, toxic torts, breach of warranties/product failure and code compliance matters. Additionally, Mr. Sacks has defended managed health care companies in disputes involving network provider credentialing, quality assurance, provider reimbursement, and direct claims of medical malpractice. For the last fifteen years, Mr. Sacks has been prosecuting and defending complex and high-exposure cases to verdict throughout Florida, Georgia, and New York. Actively engaged as statewide counsel for an international manufacturer in matters involving products liability claims, warranty issues, breach of contract actions, construction defect claims, lien foreclosure actions and commercial disputes. Obtained numerous defense jury verdicts, directed verdicts, voluntary dismissals, involuntary dismissals and summary judgments in products liability, premises liability and warranty actions against vertical transportation companies, property owners and retail operators. Successfully represented Union of Auto Workers in global grievance arbitration over collective bargaining agreement rights. Successfully represented commercial developer in multiple contract disputes concerning rights and interests in untimely developed property. Successfully obtained summary judgment on behalf of an aircraft manufacturer over the enforceability of distribution agreement worth several hundred million dollars (upheld on appeal). Successfully obtained summary judgment on behalf of an international manufacturing corporation over the enforceability of Coblentz Agreement. Successfully obtained summary judgment on behalf of an employer over enforceability of multimillion-dollar land use and partnership agreement (upheld on appeal). 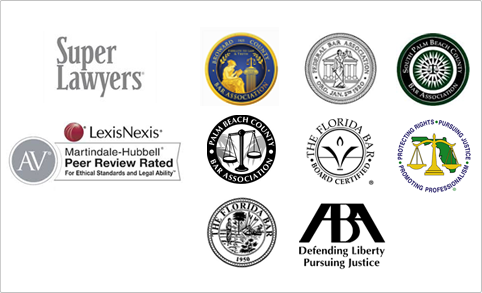 Mr. Sacks is a member of the Florida Bar, the Georgia Bar, the New York Bar, and the Broward County Bar Association. He is also admitted to practice before the U.S. District Courts for the Southern and Middle Districts of Florida, and the U.S. Court of Appeals for the 11th Circuit.